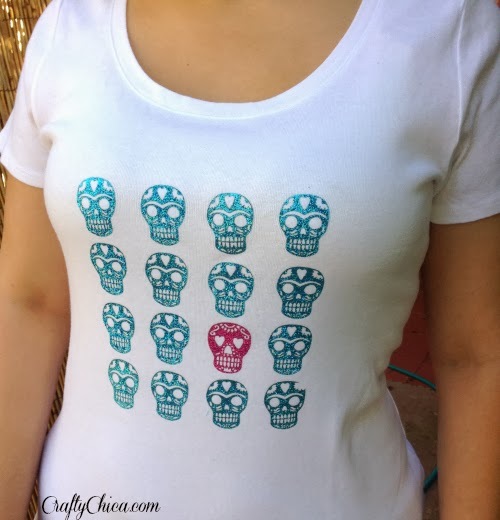 If you are near a Michaels store these days, make sure to look in the apparel section for my new Crafty Chica Dia de los Muertos endcap! 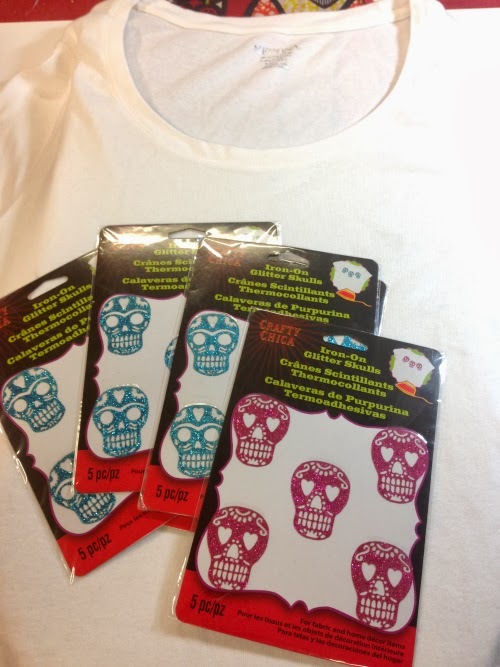 I have a lot of fun, new items to embellish your projects, all celebrating Dia de los Muertos. Click here to see the store list! 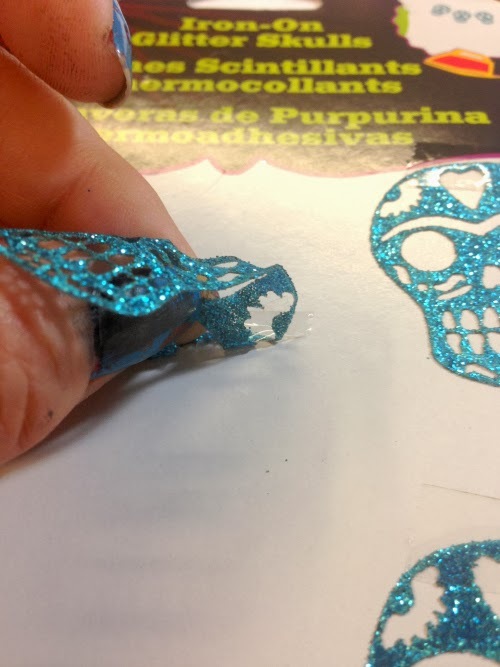 Here are some glittered iron-on skulls that are super easy to apply! I made this shirt for my daughter! 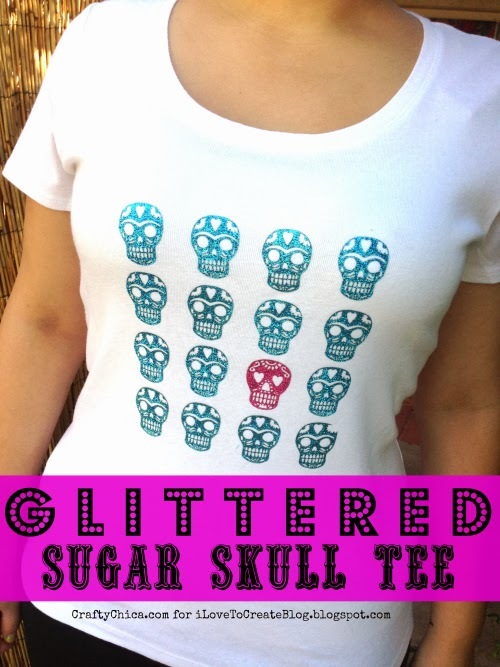 Supplies: T-shirt, iron, a pressing cloth and a few packs of the Crafty Chica Iron-On Glitter Skulls. 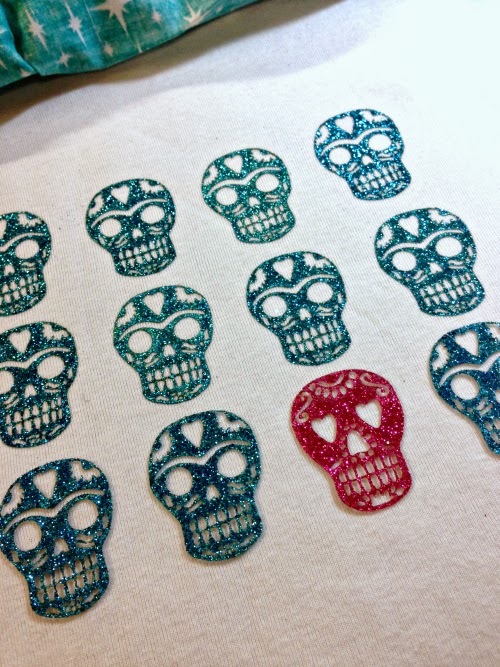 Each little skull is taped to the backing, so carefully peel it away. Make sure your shirt is pre-washed to remove sizing. 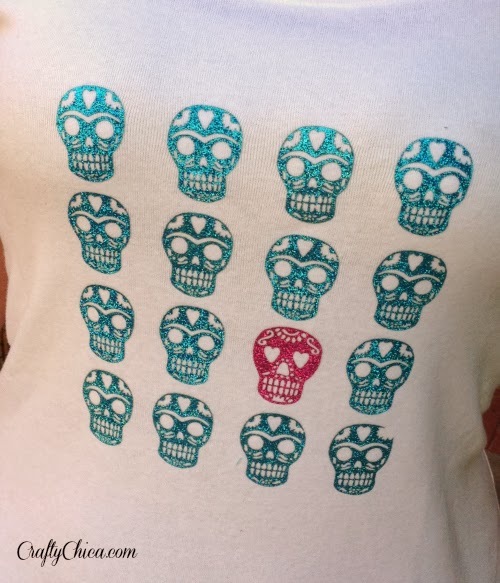 Now set the skulls in the pattern you like. Play around with them until you like what you see. In order to get even rows, you may want to iron these row-by-row. TO IRON: Set in place and then set down the pressing cloth and with the iron on high, press in place. Don't rub it up and down because it could make the skulls smear. Just a simple press for about 30 seconds. Oh my gosh - that's it! See? Super easy! You can also iron these on other surfaces like paper, wood, nylon and more!